A few years ago there stood on the junction of Greek Street and Old Compton Street, Soho - in what to-day is the very heart of Theatreland - a large draper's shop, which was known as "The Emporium." For close upon a century it had been the property of Messrs. William Reddan & Son, and in its day had supplied the needs of many of the most fashionable and distinguished women of our time. These included more than one member of the Royal Family; among others, Princess Mary was a constant visitor and she would frequently spend the whole morning making purchases of drapery and selecting material for-dresses. The business was conducted on old-fashioned lines but its clients came from the most exclusive ranks of London society. To-day "The Emporium" is merely a memory. Together with a number of other buildings it was demolished last year. The site to-day is occupied by the Prince Edward Theatre, London's newest playhouse. This Theatre - for which it may be claimed that it is at once the most luxurious and commodious in London - has been built from the designs of Mr. Edward A. Stone, F.S.I., the joint architect of the Piccadilly Theatre. It has a seating accommodation for about 1,650 people. 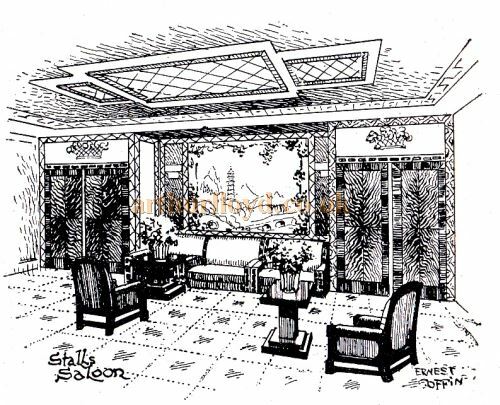 It would have been possible to have provided seats for many more, but due regard has been paid to the comfort and convenience of each member of the audience, and in deliberately limiting the number of seats the architect has been able to give better spacings between the rows, as well as to provide spacious foyers, extra wide spaces and corridors. In addition to this, the entire building has been designed in such a way as to secure for every visitor a full and uninterrupted view of the stage. This applies to the boxes no less than to the seats in the body of the house. In the average London theatre the boxes are placed in positions which make a complete view of the stage difficult, if not, indeed, impossible - a circumstance which has tended to lessen considerably their selling value. In the case of the Prince Edward Theatre this defect has been entirely removed, and as the greater number of the boxes have been placed at the back of the dress circle, the view obtained is equal to that from any seat in the house. The stage - which is second only in dimensions to the stages of Drury Lane and Covent Garden, the two largest Theatres in London has been built on the latest principles, the latest and best features of American and Continental stages having been incorporated in its design. The building operations have been carried out by Messrs GRIGGS AND SON, I00, Victoria Street, S.W.i, who are already well known as the builders of the Piccadilly theatre and other places of entertainment, and who, at present are engaged in the construction of the new Whitehall Theatre near Charing Cross. From a decorative viewpoint the Prince Edward Theatre can successfully challenge comparison with any other Theatre in the world; the general colour-scheme being a warm purple tint best described as "fuchsia and gold." The keynote of the decoration was inspired by the fact that the Theatre was to be used for bright musical comedies, and an adequate setting for these has been the endeavour of the architect. 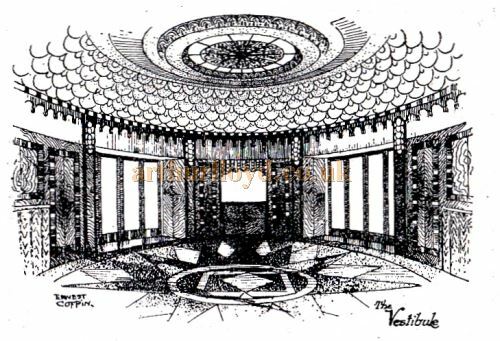 The whole of the interior of the building has been decorated by Messrs. Marc Henri & Laverdet (of London and Paris) with the use of the new decoration material Marb-L-Cote. For the furnishing Messrs. Shoolbreds have been responsible, and here again a new note has been struck, the circle having been fitted with an armchair tip-up seat, with spaces between each row of sufficient width to enable people to pass in and out without disturbing those members of the audience who are already seated. 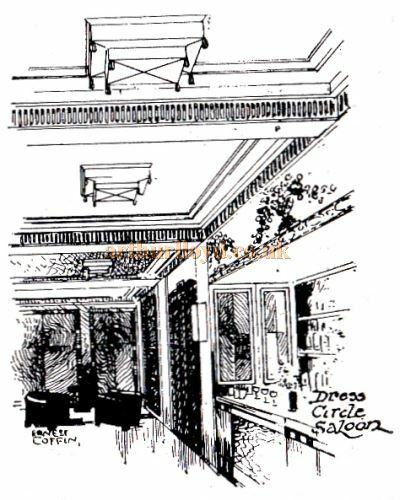 The upper circle, too, has been fitted with luxurious tip-up seats with exceptionally wide spaces between the rows. A special feature of the Theatre is the lighting effect, which is under the control of Major C. H. Bell, 0.B.E., the consulting engineer. Here every device known to science for the illumination of scenes has been utilised. Complex as it is, the apparatus can be manipulated by one man. The entire stage lighting is arranged at one rehearsal, and only requires the operation of one push button to produce any effect previously arranged for. This is a method of control which has never before been applied to any Theatre. The auditorium is illuminated in conformity with the general design of the Theatre, and a perfect unison between the decorators and the lighting engineers has been attained, resulting in a pleasing ensemble of harmony. The system of ventilation is the most up-to-date known, and provides for a complete change of air in the auditorium every ten minutes and the automatic control of temperature to any required degree. The Theatre is cleaned throughout by the new Vacuum system so as to eliminate entirely every particle of dust. An important feature is the system of easy access and exit to and from all parts of the house. Lifts have been installed to provide ready access for the various artistes to their dressing rooms. In the Theatre itself the entrances and exits are symmetrical. By means of a special device the automatic lowering of the curtain at the end of the performance is signalled to the carriages outside, thereby valuable time is saved. It may be said of the Prince Edward Theatre that it is one of the most dignified and impressive playhouses in the whole of the country. In considering the exterior the architect decided that it was advisable to keep this in harmony with the buildings of the surrounding neighbourhood. With this object in view he has utilised brick instead of the usual Portland Stone. A small mauve brick has been used with raked joints, which give a very agreeable shadow effect, enlivened by the introduction of bright colours in the windows, the shutters and the roof. The flood lighting from canopy and cornices at night viewed from Shaftesbury Avenue and Cambridge Circus is particularly striking. When the curtain rises on the opening act of "Rio Rita" at the Prince Edward Theatre, a new chapter will have been added to London's theatrical history. 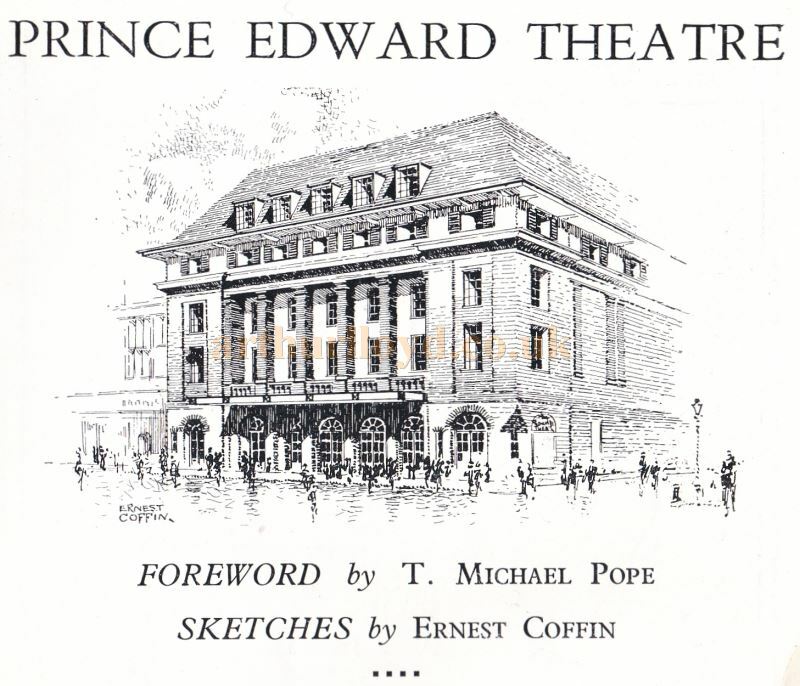 The above article and its accompanying images was first published in the Opening Night Programme for 'Rio Rita', which opened the Prince Edward Theatre on the 3rd of April 1930. - Programme Kindly Donated by Maria Andrew, Theatre Archivist for the Theatre Royal, Norwich.